YAY! 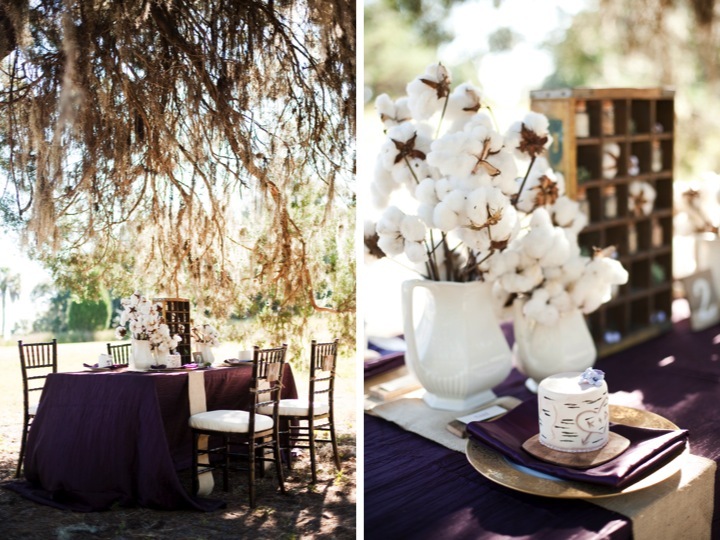 I can FINALLY post this inspiration shoot that I did with MMD Events and Justin DeMutiis Photography! It had been slotted to be on Style Me Pretty’s Little Black Book Blog for a few months, and I’ve had the images tucked away, waiting to post them! 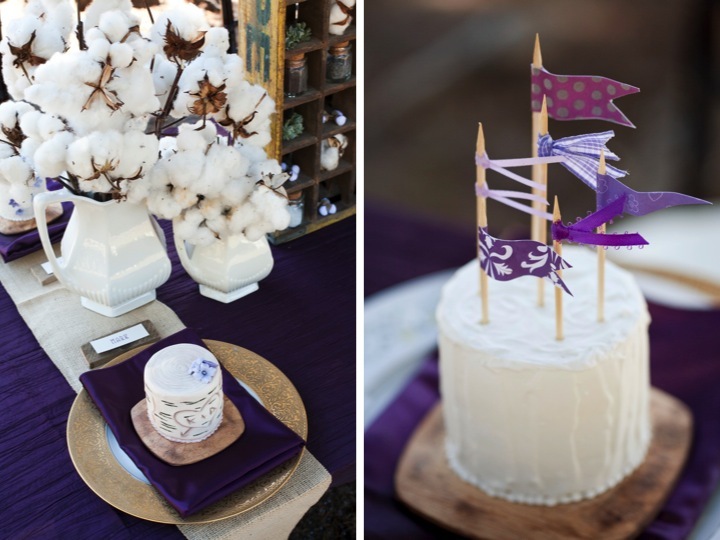 We created this inspiration shoot to put a new twist on rustic- a little bit of vintage eclectic, with the bold color of eggplant. 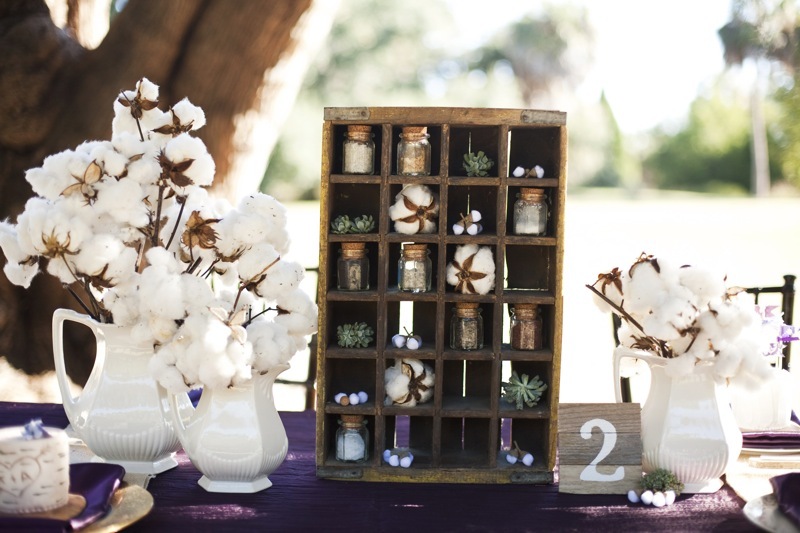 Using a vintage crate as the main focal point of the table, we filled it with eclectic odds and ends, and flanked either side with interesting containers filled with cotton. 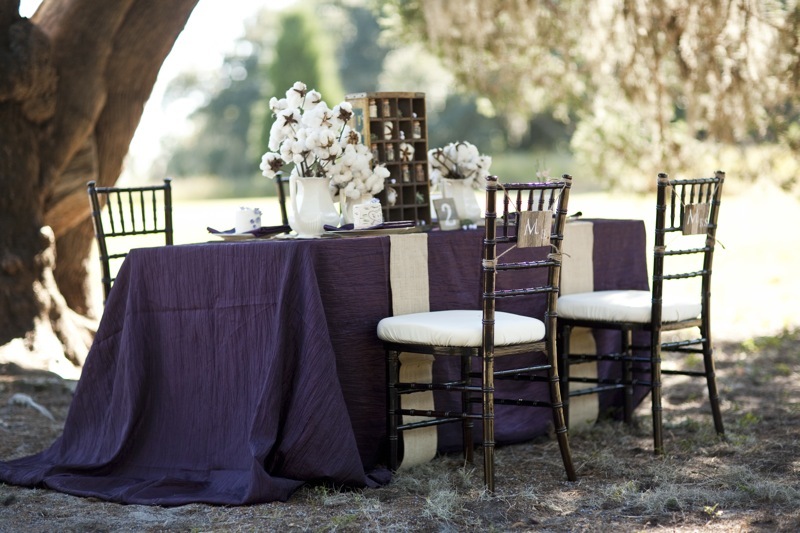 To use burlap runners in a different way, we criss-crossed them to create more of an effect on the table. 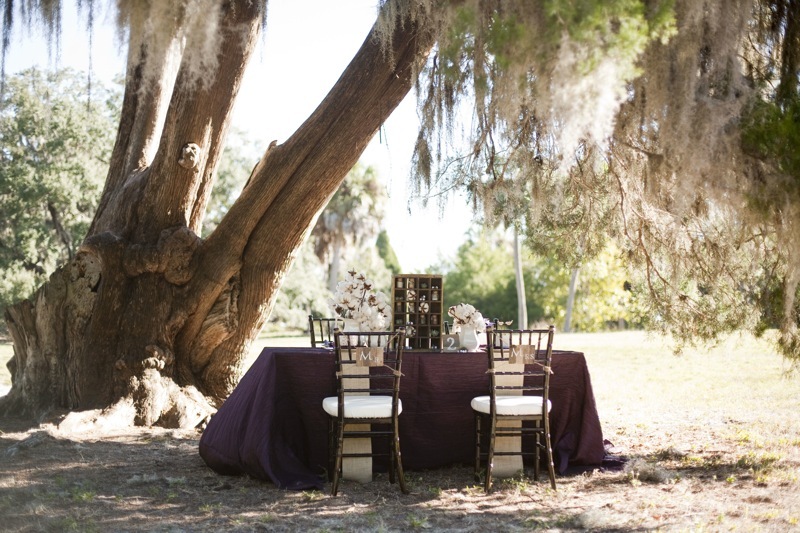 We wanted to show that you can have a great looking table without having to have tons of floral elements. 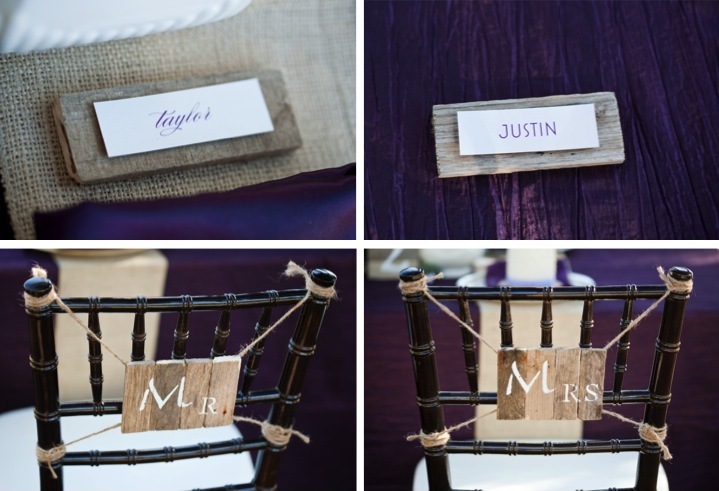 I created the “Mr” and “Mrs” signs and the table number using reclaimed lobster crate planks. Yep, from Maine and everything. They added in the perfect bit of rustic, almost looking like a fence. 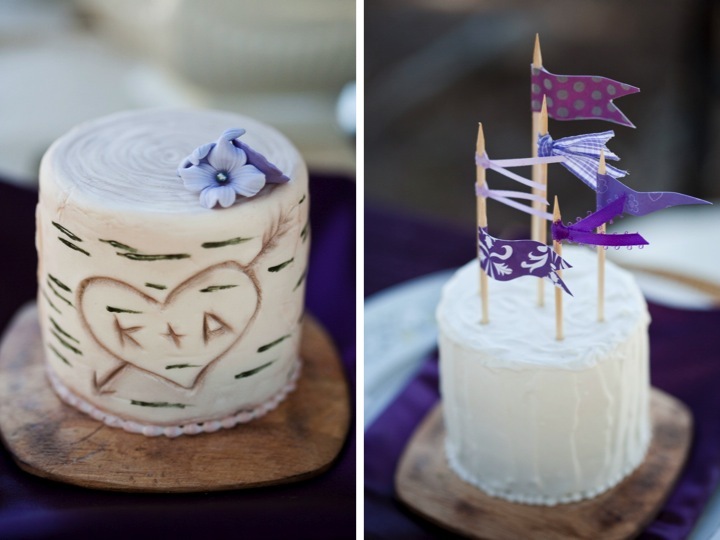 Gorgeous, unique miniature cakes by Cakes With A Kick adorned the vintage plates at each placesetting, carrying the rustic and eclectic style throughout the table. 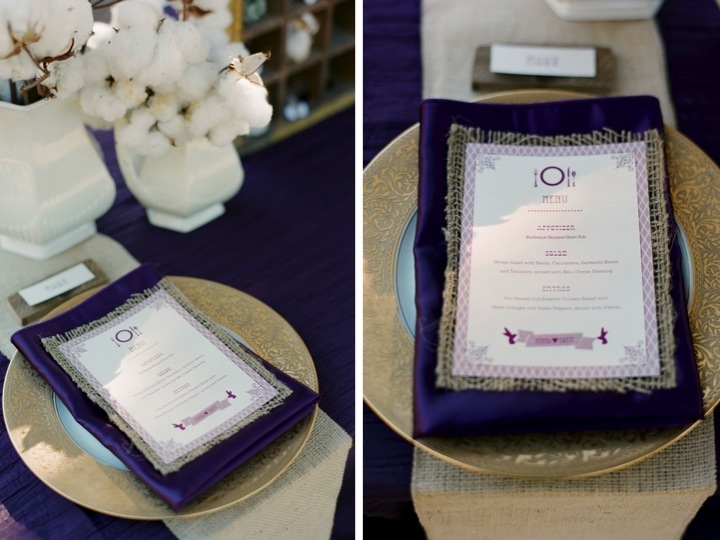 Meant To Be Sent created gorgeous invitations and menus, carrying the burlap over into the pieces as well. I LOVED these! I loved this shoot. It was short and sweet- literally I think we were only there for an hour. 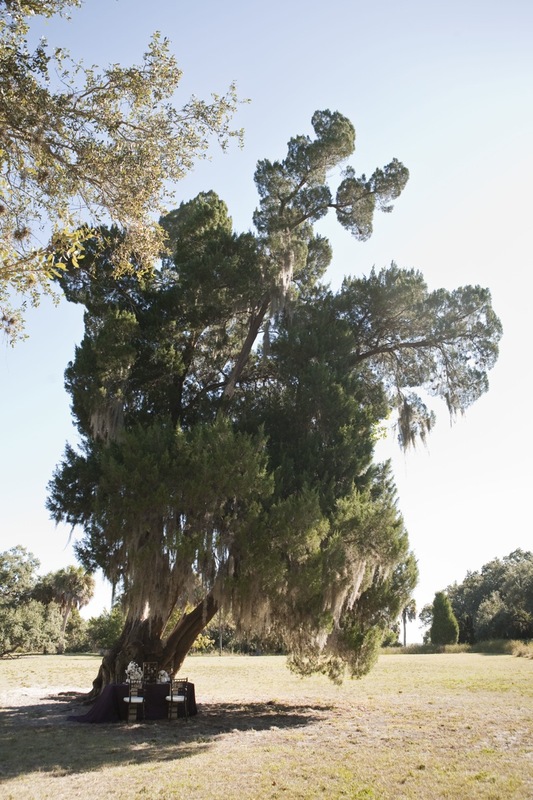 It was also actually one of the colder mornings in Florida, and we were all bundled up! 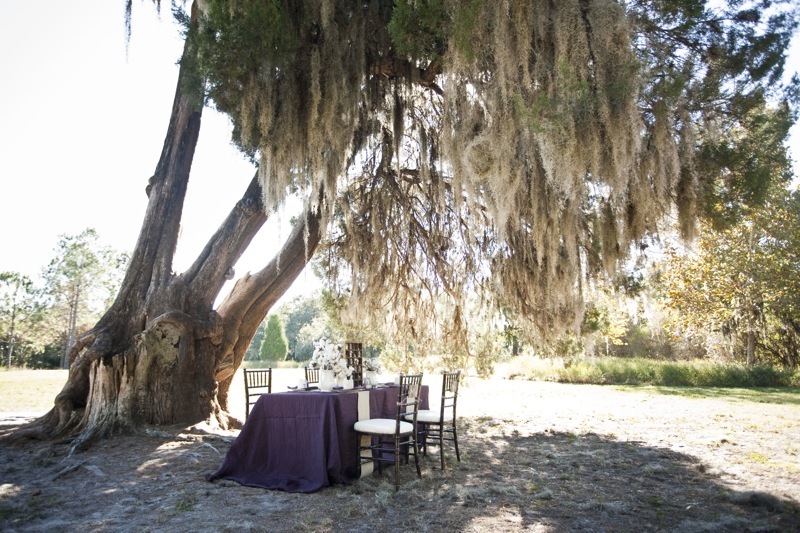 But it was a gorgeous spot and such a fun table to set up! 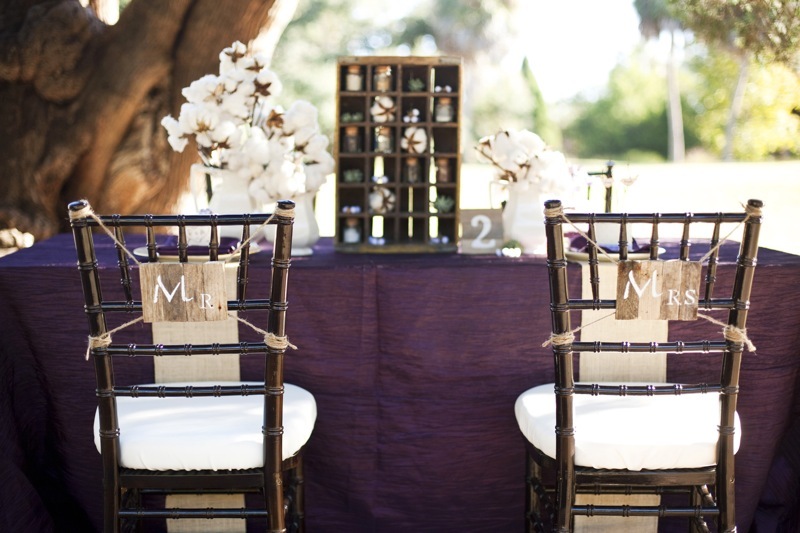 I SO wish I had more of those planks to make a full set of table numbers, but they were kind of a one-time thing. I’m still on the lookout for something like them though! 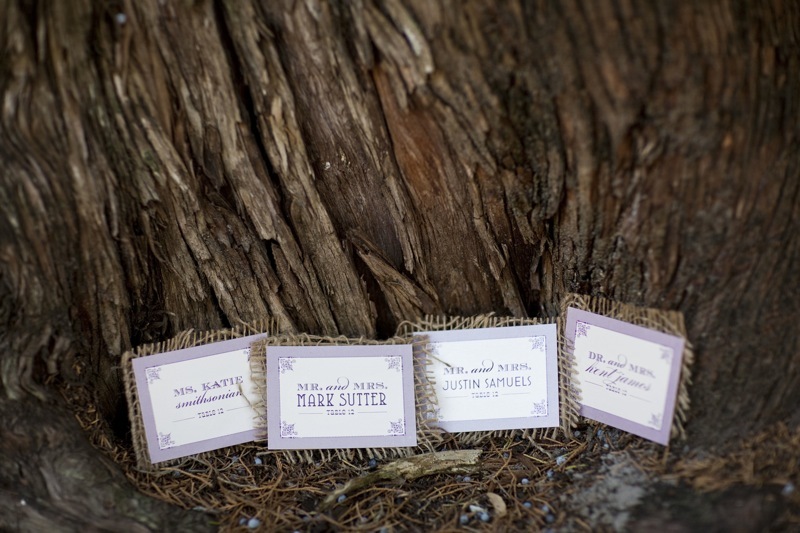 :) I LOVE the way that Robin of Meant To Be Sent used burlap in all the paper products. 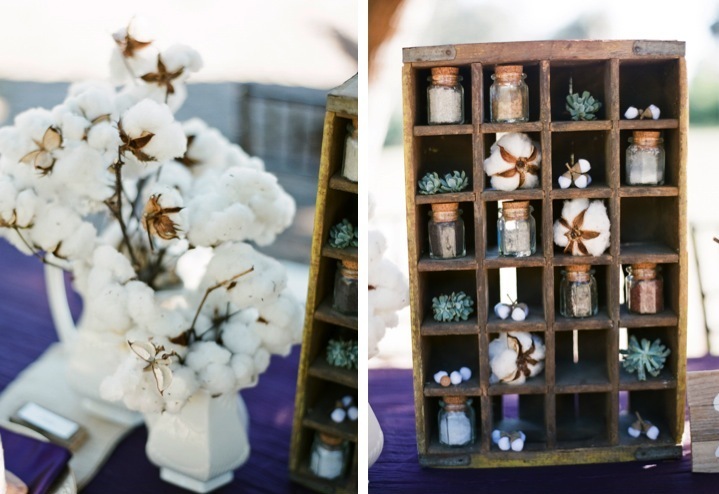 It’s such a great way to incorporate the rustic style! 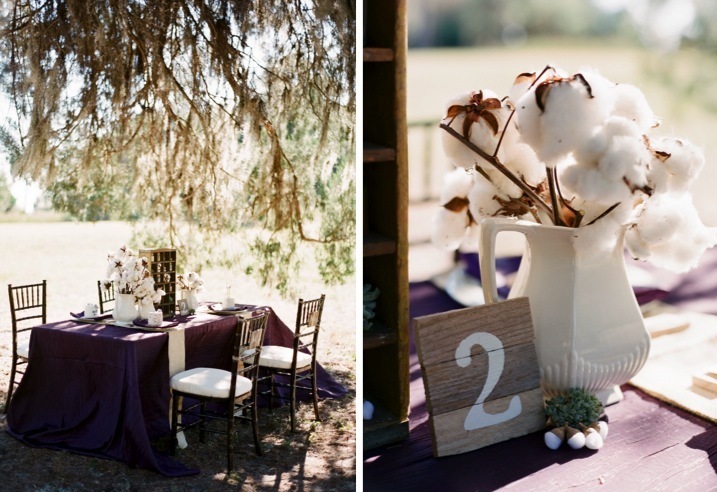 I hope you all can gain some inspiration from this shoot! 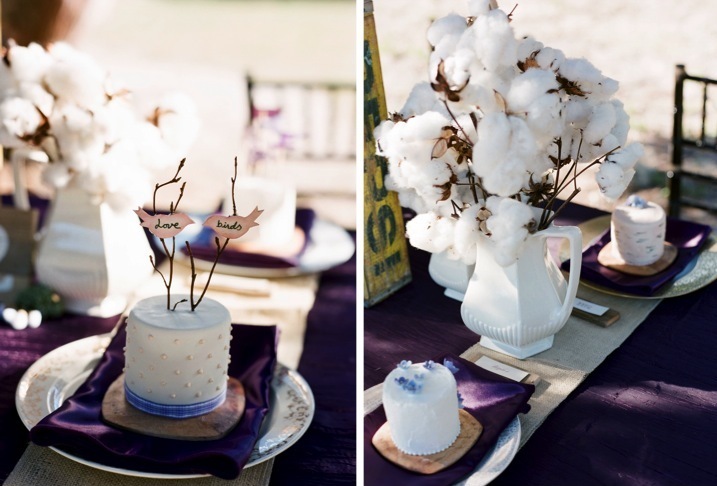 It shows you that you don’t have to have tons of florals to have an awesome tablescape! 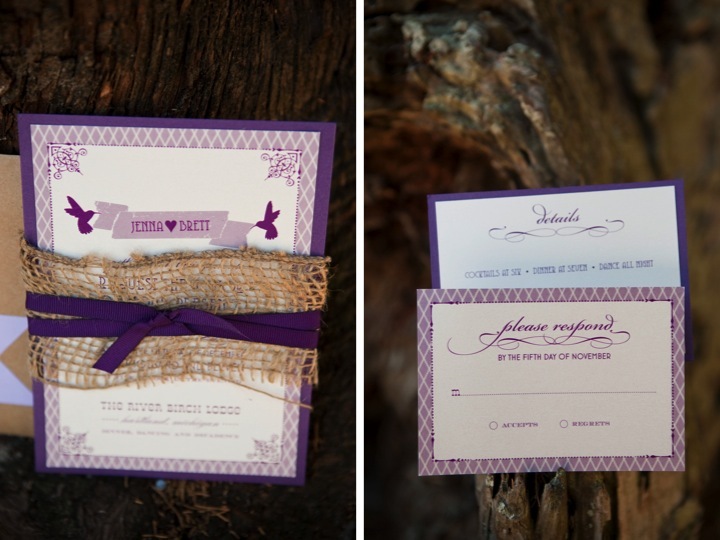 :) A big thank you to MMD Events and Justin DeMutiis Photography for doing such a wonderful job on the shoot! 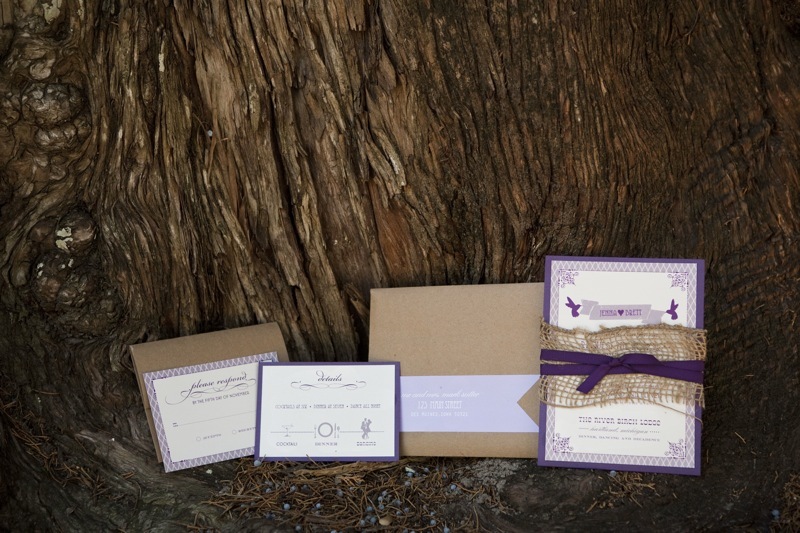 this is gorgeous, lauren! 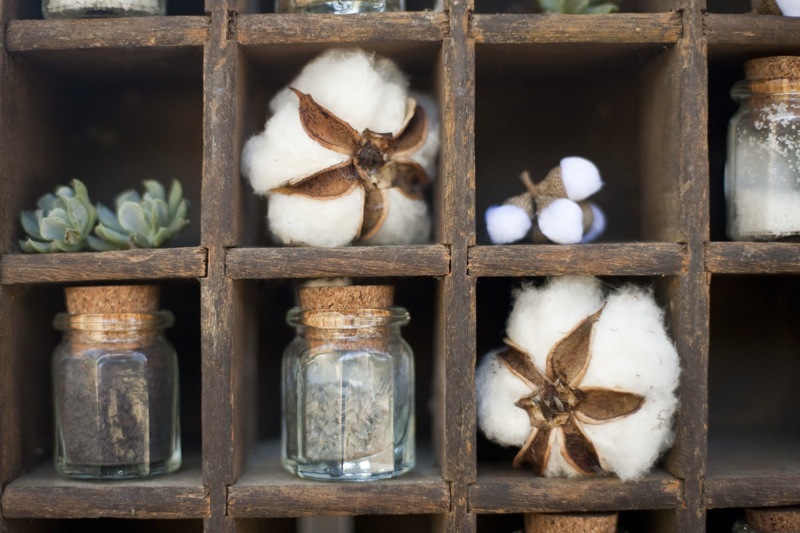 love the cotton. 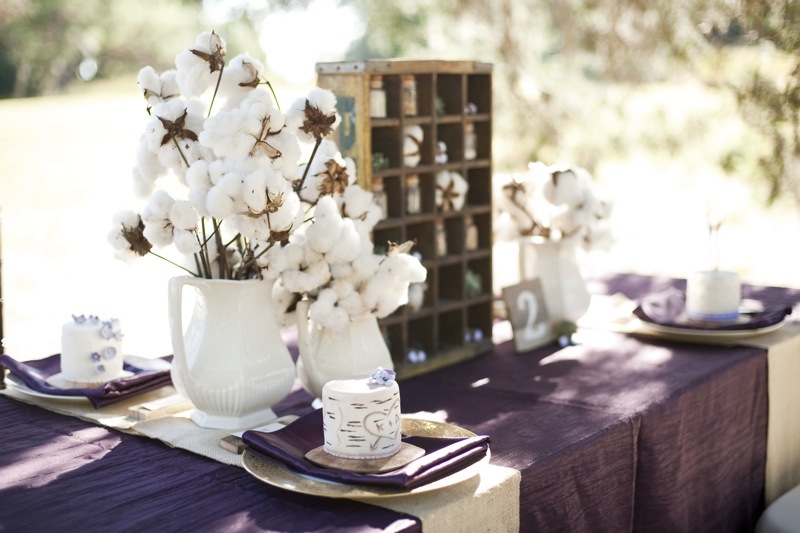 Oh, I love the Cotton! 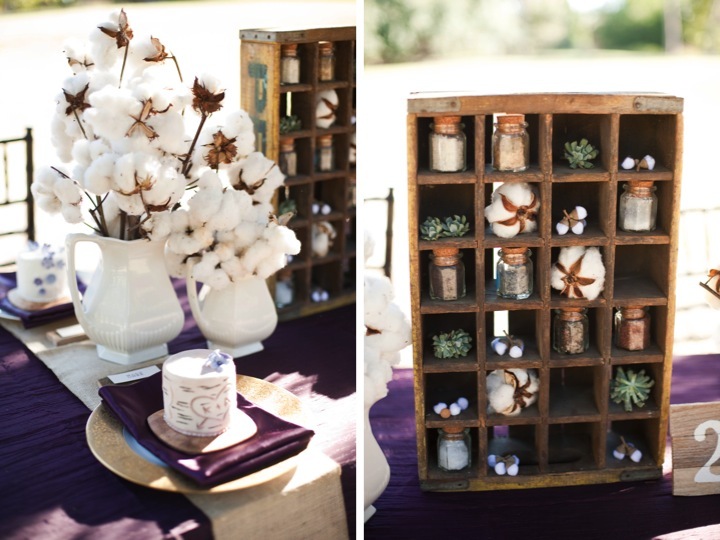 What an awesome idea for something white and rustic to contrast the rich purple! I love being a part of this shoot! The details were phenomenal!